The mechanism by which 'polycomb' proteins critical for embryonic stem cell function and fate are targeted to DNA has been identified by UCL scientists. PRC2 is brought to its target genes though binding to short RNA transcribed by RNA polymerase II. PRC2 can then methylate histone H3 (which the DNA is wrapped around), blocking full transcription of developmental regulator genes that would otherwise act to alter the identity of the cell. The discovery, which has implications for the fields of stem cell and tissue engineering, is detailed in research published today in the journal Molecular Cell. A key feature of stem cells is the suppression of genes that when later switched on lead to the differentiation of the cells into specific mature cell types, such as neurons or immune cells. Polycomb proteins, first discovered in fruit flies, are known to play a critical role in the suppression of these developmental genes. PRC2 (polycomb repressive complex-2) is present in all multicellular organisms and has been shown to be important in stem cell differentiation and early embryonic development. The study authors found that PRC2 is brought to its target genes though binding to a new class of short RNAs transcribed by RNA polymerase II. PRC2 can then methylate chromatin, preventing the activation of developmental regulator genes that would otherwise act to alter the identity of the cell. "We wanted to find out what this activity was and our identification of these short RNAs explains this unusual gene state. Discovering that polycomb also binds to these RNAs shows how polycomb might be recruited to genes, which are then repressed to maintain the identities of different cell types. This has been a key question in the field for some time and has important implications for how we might be able to control cell fate in tissue engineering". Researchers at Mount Sinai School of Medicine have for the first time differentiated human stem cells to become heart cells with cardiomyopathy, a condition in which the heart muscle cells are abnormal. The discovery will allow scientists to learn how those heart cells become diseased and from there, they can begin developing drug therapies to stop the disease from occurring or progressing. The study is published in the June 9th issue of Nature. The Mount Sinai team used skin cells from two patients with a genetic disorder known by the acronym LEOPARD syndrome. Hypertrophic cardiomyopathy, or thickening of the heart muscle, is experienced by 80 percent of patients with LEOPARD syndrome and is the most life-threatening aspect of the disorder. The Mount Sinai team took patient skin cells and reprogrammed them to become pluripotent stem cells. Such cells can then develop into almost any type of cell in the human body. The researchers then created heart cells that had characteristics of hypertrophic cardiomyopathy. "We knew there was potential in using pluripotent stem cells from people with genetic disorders to develop diseases in vitro, but our study is the first to successfully create abnormal heart cells," said the Principal Investigator of the study Ihor R. Lemischka, PhD, Professor, Gene and Cell Medicine, Developmental and Regenerative Biology, Mount Sinai School of Medicine. "Now that we have developed these cells, we can study why they become enlarged and develop treatments to prevent them from overgrowing." Scientists know that genetic disorders occur because of a mutation in a protein signalling pathway called the RAS pathway, but they have been unable to determine precisely how this results in disease-associated problems like hypertrophic cardiomyopathy. The authors of the Nature study concluded that induced pluripotent stem cell-derived heart cells provide the required characteristics to precisely determine the pathology behind these disorders, and a foundation for studying treatment interventions. "This discovery has broad-reaching implications for genetic diseases like LEOPARD syndrome and Noonan's syndrome," continued Dr. Lemischka. "We look forward to further studying these cells as a potential therapeutic target." Researchers from the Massachusetts General Hospital Center for Regenerative Medicine (MGH-CRM) and the Harvard Stem Cell Institute have a developed a new type of human pluripotent stem cell that can be manipulated more readily than currently available stem cells. As described in the June 4 Cell Stem Cell, these new cells could be used to create better cellular models of disease processes and eventually may permit repair of disease-associated gene mutations. "It has been fairly easy to manipulate stem cells from mice, but this has not been the case for traditional human stem cells," explains Niels Geijsen, PhD, of the MGH-CRM, who led the study. "We had previously found that the growth factors in which mouse stem cells are derived define what those cells can do, and now we've applied those findings to human stem cells." The first mammalian embryonic stem cells (ESCs) were derived from mice and have proven very useful for studying gene function and the impact of changes to individual genes. However, techniques used in these studies to introduce a different version of a single gene or inactivate a particular gene were ineffective in human ESCs. In addition, human ESCs proliferate much more slowly than do cells derived from mice and grow in flat, two-dimensional colonies, while mouse ESCs form tight, three-dimensional colonies. It has been extremely difficult to propagate human ESCs from a single cell, which prevents the creation of genetically manipulated human embryonic stem cell lines. In previous work, Geijsen and his colleagues demonstrated that the growth factor conditions under which stem cells are maintained in culture play an important role in defining the cells' functional properties. Since the growth factors appeared to make such a difference, the researchers tried to make a more useful human pluripotent cell using a new approach. They derived human induced pluripotent stem cells (iPSCs) – which are created by reprogramming adult cells and have many of the characteristics of human ESCs, including resistance to manipulation – in cultures containing the growth factor LIF, which is used in the creation of mouse ESCs. The resulting cells visibly resembled mouse ESCs and proved amenable to a standard gene manipulation technique that exchanges matching sequences of DNA, allowing the targeted deactivation or correction of a specific gene. The ability to manipulate these new cells depended on both the continued presence of LIF and expression of the five genes that are used in reprogramming adult cells into iPSCs. If any of those factors was removed, these hLR5- (for human LIF and five reprogramming factors) iPSCs reverted to standard iPSCs. "Genetic changes introduced into hLR5-iPSCs would be retained when they are converted back to iPSCs, which we then can use to generate cell lines for future research, drug development and someday stem-cell based gene-correction therapies," says Geijsen. He is an assistant professor of Medicine at Harvard Medical School and a principal faculty member of the Harvard Stem Cell Institute. The International Society for Stem Cell Research (ISSCR) announced today that it has launched “A Closer Look at Stem Cell Treatments“, a Web site to arm patients, their families and doctors with information they need to make decisions about stem cell treatments. The Web site was developed in response to the growing number of aggressive marketing campaigns on the Internet and elsewhere offering stem cell treatments. The ISSCR urges individuals to be cautious and to learn the facts before making any decision. “Stem cells do hold tremendous promise for the treatment of many serious diseases. Yet there are organizations out there that are preying on patients’ hopes, offering stem cell treatments – often for large sums of money – for conditions where the current science simply does not support its benefit or safety,” said Irving Weissman, MD, President of the ISSCR. Currently there are only a small number of stem cell treatments that have been shown to be beneficial in rigorous studies. These mostly pertain to diseases or conditions of the blood, as well as skin grafts and corneal repair. The ISSCR is concerned that stem cell treatments are being marketed to patients worldwide for a variety of medical conditions, without having the mechanisms in place to ensure safety or likely benefit. Without these safeguards, patients may be put at risk. The Web site offers several tools for patients to evaluate a prospective clinic or treatment including a list of questions to ask about the treatment and providers, as well as resources that explain fundamental scientific principles of stem cell biology and the implications for stem cell treatments. Ultimately, the Web site will list stem cell clinics and whether they do or do not provide the ISSCR with information showing that appropriate oversight and other patient protections are in place. Visitors to http://www.closerlookatstemcells.org/ can submit, for review, a clinic or treatment they have seen advertised. The treatment providers will be asked to present evidence that a) a medical ethics committee is involved to protect patients’ rights; and b) there is supervision by an official regulatory body such as the European Medicines Agency (EMA) or the U.S. Food and Drug Administration (FDA) for the trial or approved use of a treatment for specific diseases or conditions. “We want patients to feel they have access to critical information they might otherwise not have, so they can make the best decision for their individual situation,” said Patrick Taylor, JD, Chair of the ISSCR Task Force on Unproven Stem Cell Treatments. "The key to ensuring that treatments are safe and effective is a well-established path from basic research to clinical care, through carefully constructed studies and independent review. The criteria selected by the task force are simple to apply, but of extraordinary power in promoting progress while protecting patients." The International Society for Stem Cell Research (ISSCR) is an independent, non-profit organization established to promote and foster the exchange and dissemination of information and ideas relating to stem cells, to encourage the general field of research involving stem cells and to promote professional and public education in all areas of stem cell research and application. Scientists at the Genome Institute of Singapore (GIS), and their colleagues from the National University of Singapore, Nanyang Technological University, Duke-NUS Graduate Medical School and Princeton University have recently discovered that viruses that 'invaded' the human genome millions of years ago have changed the way genes get turned on and off in human embryonic stem (ES) cells. The study provides definitive proof of a theory that was first proposed in the 1950s by Nobel Laureate in physiology and medicine, Barbara McClintock, who hypothesized that transposable elements, mobile pieces of the genetic material (DNA), such as viral sequences, could be "control elements" that affect gene regulation once inserted in the genome. This finding is an important contribution to the advancement of stem cell research and to its potential for regenerative medicine. Led by GIS Senior Group Leader Dr Guillaume Bourque, the study was published in Nature Genetics on June 6, 2010. Through the use of new sequencing technologies, the scientists studied the genomic locations of three regulatory proteins (OCT4, NANOG and CTCF) in human and mouse embryonic stem (ES) cells. Interestingly, while the scientists found a lot of similarities, they also found many differences in the methods and the types of genes that are being regulated in humans. In particular, it was discovered that specific types of viruses that inserted themselves in the human genomes millions of years ago have dramatically changed the gene regulatory network in human stem cells. "This study is a computational and experimental tour de force. It provides undeniable evidence that some transposable elements, which are too often dismissed as merely junk DNA, are key components of a regulatory code underlying human development," said Dr Cedric Feschotte, Associate Professor of the University of Texas Arlington. The comparisons between the human and mouse model system in the study of gene regulatory networks help to advance the understanding of how stem cells differentiate into various cell types of the body. "This understanding is crucial in the improved development of regenerative medicine for diseases such as Parkinson's disease and leukaemia," said Dr Bourque. "Despite the advantages of using mouse ES cells in the study of gene regulatory networks, further research must focus more directly on human stem cells. This is due to the inherent challenges of converting the results of studies done from one species to that of the next. More research will need to be done in both human and non-human primate stem cells for findings on stem cells to be used in clinical application." "The paper reports very exciting new findings that establish a new and fundamentally distinct mechanism for the regulation of gene expression. By comparing the genomes of mouse with human, the scientists were able to show that the binding sites for gene regulatory factors are very often not in the same place between the two species. This by itself would be very surprising, but the investigators go further and demonstrate that many of the sites are imbedded within a class of DNA sequences called "transposable" elements because of their ability to move to new places in the genome. 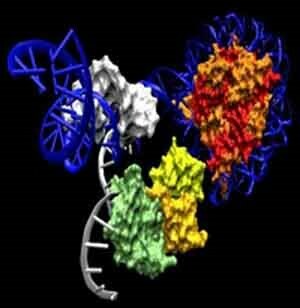 There are a number of such elements believed to be the evolutionary remnants of viral genomes, but it was very surprising to learn that they were carrying binding sites for regulatory elements to new locations. These changes in regulation would be expected to create major changes in the organisms, which carry them. Indeed, many think that regulatory changes are at the heart of speciation and may have played a large role in the evolution of humans from their predecessors. This is likely to be a landmark paper in the field." "This study using a comparative genomics strategy discovered important human specific properties of the regulatory network in human ES cells. This information is significant and should contribute to helping move the regenerative medicine field forward." A new synthetic Petri dish coating could overcome a major challenge to the advancement of human embryonic stem cell research, say University of Michigan researchers. Under today's regulations, current stem cell lines have limitations in yielding human therapies because the cells have been grown on animal-based substances that do not behave in predictable ways. "These non-defined, animal-based components create issues with the FDA (the U.S. Food and Drug Administration) and hinder clinical applications," said Joerg Lahann, associate professor of chemical engineering. Lahann and Gary Smith, an associate professor in obstetrics and gynaecology in the U-M Health System, and their co-workers built a new stem cell growth matrix that is completely synthetic and doesn't contaminate the stem cells with foreign substances that could interfere with their normal function. A paper on the research was published online this week in Nature Biotechnology. 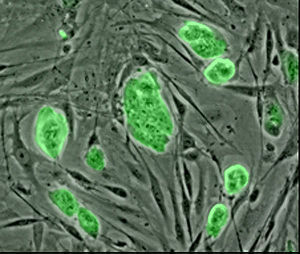 Today's most commonly used matrices are mouse embryonic fibroblast cells and Matrigel, which is made from mouse tumours. "The problem is that the mouse-derived cells have batch-to-batch variability, and they secrete factors that nobody really understands. Stem cells are very sensitive to their environment," Lahann said. The unknown factors hamper researchers' attempts to pinpoint how and under what conditions stem cells differentiate – questions paramount to the development of future stem cell therapies. The team tested six different polymer coatings and found that a water-soluble gel with the acronym PMEDSAH performed well when attached to the Petri dish even after 25 rounds of harvesting stem cells to grow new colonies. "We have designed a fully synthetic, fully chemically defined hydrogel that has long-term stability and no batch-to-batch variability," Smith said. "These include normal genetic makeup, lack of spontaneous differentiation and maintenance of pluripotency, which means they can still become any cell type of the human body. This is a perfect example of an interdisciplinary collaboration leading to information gained and future discovery of cures and improvements of human health." Smith is also an associate professor in the departments of Molecular and Integrative Physiology and Urology, as well as director of the Reproductive Sciences Program. Lahann is also an associate professor in the departments of Materials Science and Engineering and Biomedical Engineering. A previously unknown pattern in DNA methylation - an event that affects cell function by altering gene expression – has been uncovered for the first time by stem cell researchers at UCLA, a finding that could have implications in preventing some cancers and correcting defects in human stem cell lines. The team of scientists discovered a relationship between DNA methylation and the positioning of nucleosomes, which compact and regulate access to DNA in the nucleus of a cell. The discovery was made using high-throughput DNA sequencing to study the sites on DNA where high levels of methylation were occurring, said Matteo Pellegrini and Steve Jacobsen, researchers with the Broad Stem Cell Research Center at UCLA and senior co-authors of the study. The study appeared Sun., May 30, 2010 in the early online edition of the peer-reviewed journal Nature. The processes required for the survival of a cell depend on the cell's ability to store and read the genetic information encoded in its DNA. Packaging the long DNA into a tiny nucleus is complicated because the DNA still needs to be accessible to the cell's molecular machinery. The molecules that compact DNA are called the nucleosome core particles. Each one has about 147 base pairs of DNA wrapped around it. This interaction forms a sort of scaffolding for compaction of the long DNA polymer, while allowing it to be accessible for events such as methylation. DNA methylation is important in regulating genes that play a role in the differentiation of embryonic stem cells and in the development of some cancers, Jacobsen said. "Changes in DNA methylation are behind a lot of what makes a stem cell a stem cell. As the cell differentiates, the DNA methylation tends to change. One aspect of understanding methylation is understanding its pattern and how it's laid out within the cell," said Jacobsen, a professor of molecular, cell and developmental biology and a Howard Hughes Medical Institute investigator. In this study, the UCLA team found that the DNA wrapped around nucleosomes is more highly methylated than flanking DNA, which links adjacent DNA/nucleosome complexes. "These results indicate that nucleosome positioning influences DNA methylation patterning throughout the genome and that DNA methyltransfereases (the enzymes that methylates DNA) preferentially target nucleosome-bound DNA," said Pellegrini, an associate professor of molecular, cell and developmental biology and an informatics expert. The work was initially done in Arabidopsis, a mustard weed commonly used in plant research. Once the DNA methylation and nucleosome positioning patterns emerged, they repeated the work in human stem cells. Pellegrini and Jacobsen found similar patterns in the human stem cells. One of the most important, unknown aspects of DNA methylation, Jacobsen said, is how the cell determines where the event occurs, and the pattern of nucleosome positions has emerged as an important determinant of methylation. The findings could have implications in fighting cancer because DNA methylation patterns go awry in cancer, often causing tumour suppressor genes to switch off. The more scientists know about the cellular mechanisms that lay down the correct DNA methylation patterns, the more that process can be manipulated. In the future, this type of research may lead to techniques that result in the ability to control the patterns that go awry and lead to cancer, thus preventing a malignancy. In addition, because DNA methylation is important in stem cell differentiation, this knowledge could lead to ways to correct defects in stem cells lines in the future. By discovering how adult neural stem cells navigate to injury sites in the central nervous system, UC Irvine researchers have helped solve a puzzle in the creation of stem cell-based treatments: How do these cells know where to go? Tom Lane and Kevin Carbajal of the Sue and Bill Gross Stem Cell Research Center found the answer with the body's immune system. Their study not only identifies an important targeting mechanism in transplanted stem cells but also provides a blueprint for engineering stem cell-based therapies for multiple sclerosis and other chronic neurological diseases in which inflammation occurs. Results appear in this week's early online edition of the Proceedings of the National Academy of Sciences. "Previously, we've seen that adult neural stem cells injected into the spinal column knew, amazingly, exactly where to go," said Lane, Chancellor's Fellow and professor of molecular biology & biochemistry. "We wanted to find what directed them to the right injury spots." The researchers used adult neural stem cells to treat mice with a disease similar to MS that destroys myelin, the protective tissue coating on nerves, causing chronic pain and loss of motor function. Adult neural stem cells have shown the ability to change – or differentiate – into oligodendrocytes, the building blocks of myelin, and repair or replace affected tissue. In the mice, inflammatory cells – reacting to the virally induced nerve damage – were observed activating receptors on the adult neural stem cells. These CXCR-4 receptors, in turn, recruited chemokine proteins called CXCL-12 that guided the stem cells to specific sites. 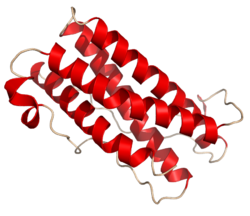 Chemokines are produced in acute and chronic inflammation to help mobilize white blood cells. As the stem cells migrated through the central nervous system, they began to transform into the precursor cells for oligodendrocytes. Latching onto their repair sites, they continued the differentiation process. Three weeks after the initial treatment, 90 percent of the cells had grown into fully formed oligodendrocytes. In earlier work, Lane and colleagues demonstrated that adult neural stem cell treatments improved motor function in mice with chronic MS symptoms. "In this study, we've taken an important step by showing the navigational cues in an inflammatory environment like MS that guide stem cells," said Lane. "Hopefully, these cues can be incorporated into stem cell-based treatments to enhance their ability to repair injury." Chris Schaumburg and Joy Kane of UCI and Dr. Robert Strieter of the University of Virginia participated in the study, which received support from the National Institutes of Health and the National Multiple Sclerosis Society. Lane recently received a Collaborative MS Research Center Award from the National Multiple Sclerosis Society to assemble a team to investigate the use of cell replacement therapy to regenerate MS-ravaged nerve tissue. Using high-throughput sequencing to map the locations of a common type of jumping gene within a person's entire genome, researchers at the University of Pennsylvania School of Medicine found extensive variation in these locations among the individuals they studied, further underscoring the role of these errant genes in maintaining genetic diversity. The investigators determined that any two peoples' genomes differ at roughly 285 sites out of the 1139 sites studied. These results were found by scanning the genomes of 25 individuals, 15 of which were unrelated. They report their findings online in Genome Research. Jumping genes – also called transposons – are sequences of DNA that move to different areas of the genome within the same cell. "The significance of this work is that there is much more diversity in our genome due to insertions by this family of transposons than previously thought," said co-author Haig Kazazian, MD, Seymour Gray Professor of Molecular Medicine, in the Penn Department of Genetics. "This movement of genetic material provides the raw material of genetic evolution, and it doesn't take into account the insertions that we believe occur outside of the sperm and egg cells studied in this project." Transposons are a source of diversity within a species' gene pool, with implications on many levels. For example, slight changes in genes help organisms adapt and survive in new environments, and populations with genetic diversity are less vulnerable to disease and problems with reproduction. Insertions into certain spots in the genome can also cause cell function to go awry, so understanding their placement and variation in the human genome is important for a fundamental understanding of disease. Insertions can cause many genetic diseases, such as haemophilia and Duchenne muscular dystrophy, and may play a role in the development of cancer. Retrotransposons are the major class of jumping genes, with the L1 family the most abundant type of retrotransposon in the human genome. L1s comprise about 17 percent of the human genome and were the subject of this study. Eventually, continuous jumping by retrotransposons expands the size of the human genome and may cause shuffling of genetic content. For example, when retrotransposons jump, they may take portions of nearby gene sequences with them, inserting these where they land, and thereby allowing for the creation of new genes. Even otherwise unremarkable insertions of L1s may cause significant effects on nearby genes, such as lowering their expression. Retrotransposons move by having their DNA sequence transcribed or copied to RNA, and then instead of the genetic code being translated directly into a protein sequence, the RNA is copied back to DNA by the retrotransposon's own enzyme called reverse transcriptase. This new DNA is then inserted back into the genome. The process of copying is similar to that of retroviruses, such as HIV, leading scientists to speculate that retroviruses were derived from retrotransposons. The team also found that on average 1 in 140 individuals have obtained a new L1 insertion from their parents. When all retrotransposon insertions, including L1 and others, are considered about 1 in 40 individuals have received a new insertion from their parents. The current study counted insertions in the heritable germ cell line, which is in egg and sperm cells. "The real elephant in the room is the question of the incidence of somatic insertions, insertions in cells that aren't eggs or sperm" says Kazazian. "We don't yet know the incidence of those somatic insertions." Because the insertions detected in this study and others like it are present in some individuals and not others, there is the possibility of association with genetic disease. Future studies in the Kazazian lab funded by an ARRA stimulus grant through the National Institutes of Health will develop techniques to uncover such associations using these retrotransposon insertions as genetic markers. For the first time, human embryonic stem cells have been cultured under chemically controlled conditions without the use of animal substances, which is essential for future clinical uses. The method has been developed by researchers at Karolinska Institute and is presented in the journal Nature Biotechnology. Embryonic stem cells can be turned into any other type of cell in the body and have potential uses in treatments where sick cells need to be replaced. One problem, however, is that it is difficult to culture and develop human embryonic stem cells without simultaneously contaminating them. They are currently cultured with the help of proteins from animals, which rules out subsequent use in the treatment of humans. Alternatively the stem cells can be cultured on other human cells, known as feeder cells, but these release thousands of uncontrolled proteins and therefore lead to unreliable research results. A research team at the Department of Medical Biochemistry and Biophysics, Karolinska Institute has now managed to produce human stem cells entirely without the use of other cells or substances from animals. Instead they are cultured on a matrix of a single human protein: laminin-511. "Now, for the first time, we can produce large quantities of human embryonic stem cells in an environment that is completely chemically defined," says professor Karl Tryggvason, who led the study. "This opens up new opportunities for developing different types of cell which can then be tested for the treatment of disease." Together with researchers at the Harvard Stem Cell Institute, the researchers have also shown that in the same way they can culture what are known as reprogrammed stem cells, which have been converted back from tissue cells to stem cells. Until now, different types of laminin have not been available to researchers, because they are almost impossible to extract from tissues and difficult to produce. 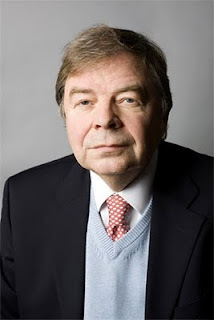 Over the last couple of decades, Karl Tryggvason’s research group has cloned the genes for most human laminins, studied their biological role, described two genetic laminin diseases and, in recent years, even managed to produce several types of laminin using gene technology. In this latest experiment, the researchers produced the laminin-511 using recombinant techniques.